From 27.02 to 3.03.2010 we conducted a survey of territories in the Crimea, prospective to attract the Saker Falcon in artificial nests. 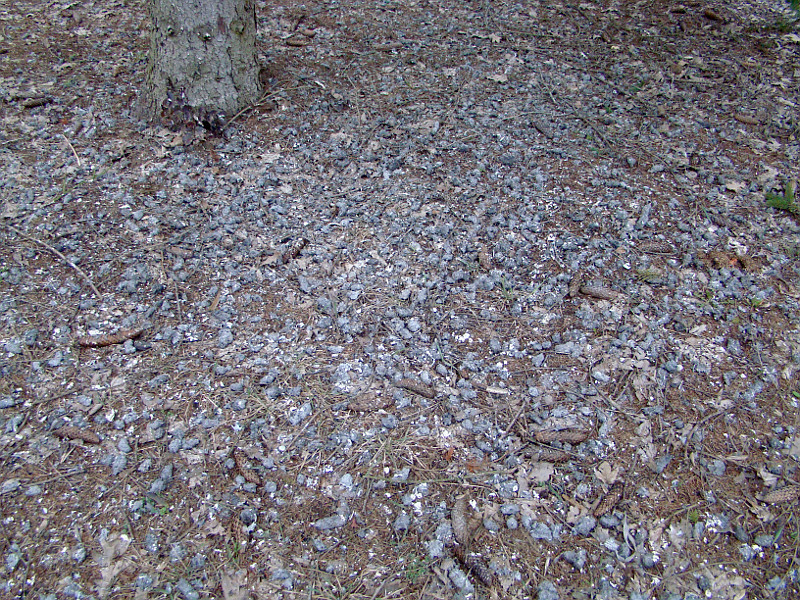 Simultaneously, the material was collected on fauna of birds of prey. Studies were carried out in the territories of Dzhankoi, Krasnoperkopsk, Krasnohvardiiske, Nyzhn’ohirskyi, Sovietskyi, Kirovske, Feodosia, Lenine and Kerch districts. 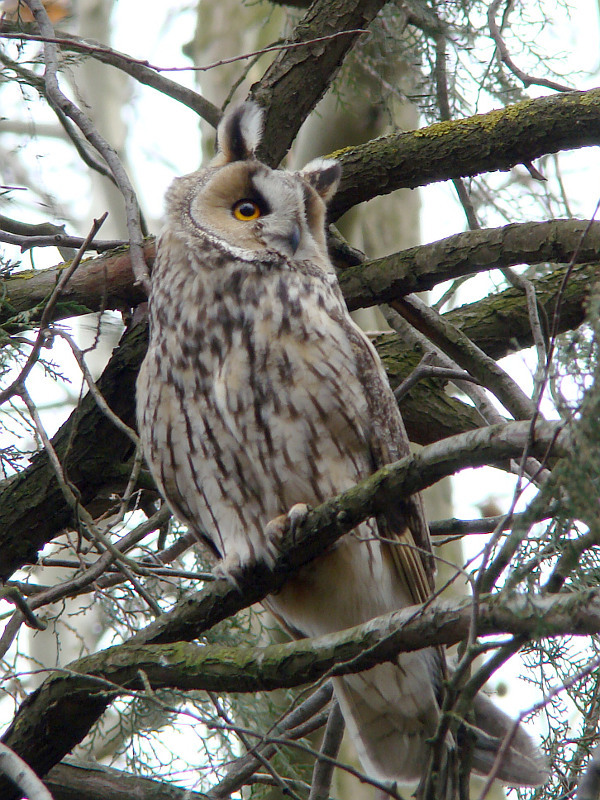 Counts of birds of prey were also done along the highway in Kherson region till the border of Dnipropetrovsk. In the north of Kherson region there were clear evidences of winter, snow covered almost the entire surface of the ground. On the Crimean Peninsula the snow cover was observed only in the northernmost region – Krasnoperekopsk, where it lay in small patches in ditches at the sides of roads and in gutters. Maximum temperature during the day reached + 10 ˚ C, at night falling down to – 1 ˚ C. In most parts of the peninsula days were sunny, sometimes with variable cloudiness. 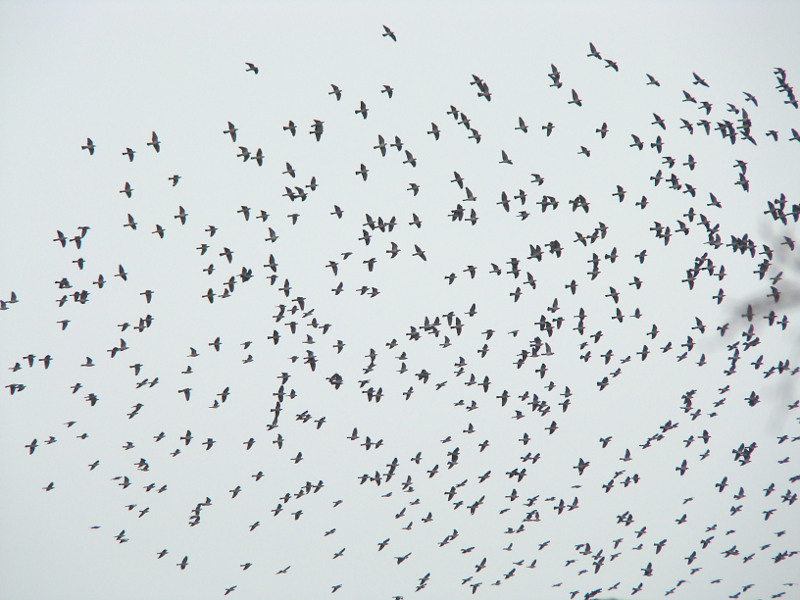 During censuses, we observed a well-defined migration of birds of prey, it was especially noticeable on Kerch Peninsula. The basis of migrants consisted of the Hen Harrier, Rough-legged Buzzard, Common Buzzard and Sparrowhawk. 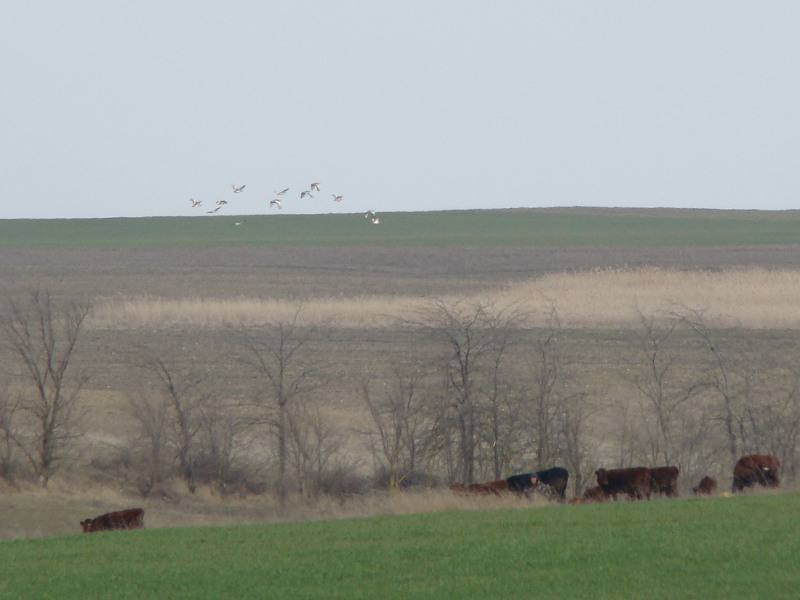 These species were also registered along our count routes on hunting and roost sites. During the expedition we, as an experiment, have set 5 platforms for the Saker falcon. In order not to give a visual information for any poachers willing to “clean” falcon’s nests, we decided not to put photos at the website with results of the work. 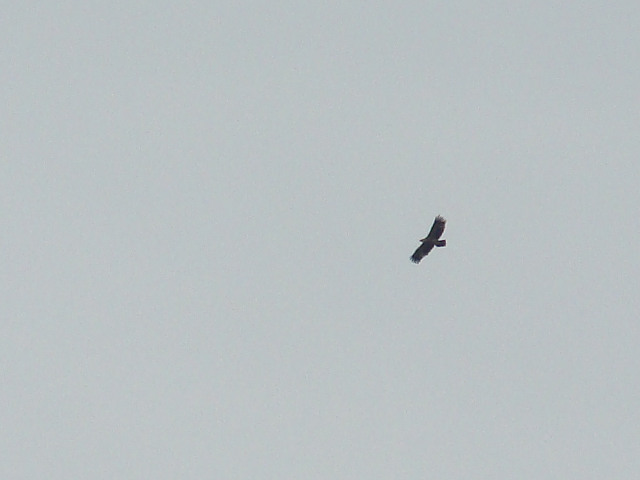 Of 8 observed White-tailed Eagles 4 migrated, the rest moved non-directional or hunted. We saw a prolonged hunting of an adult bird over the reeds of a small reservoir. The White-tailed Eagle permanently hovered over the place, working hard with wings, and made short attacks on a prey invisible for us. 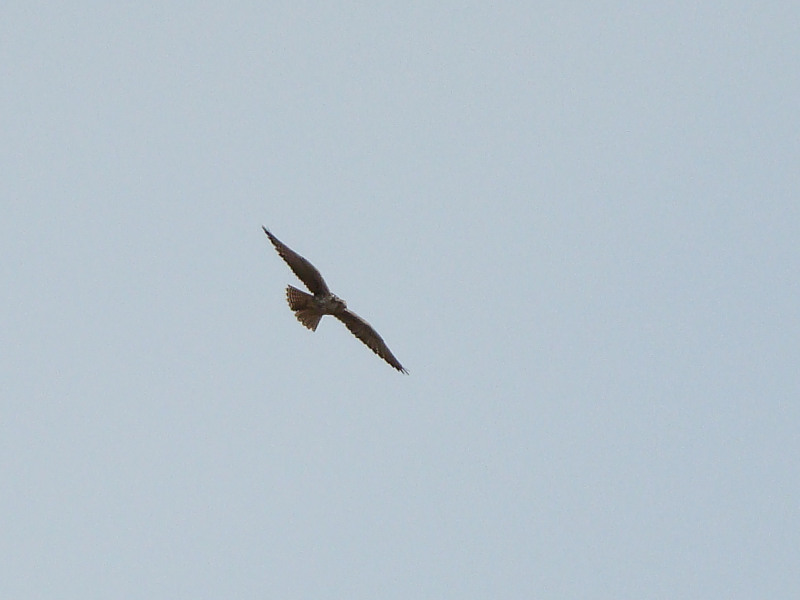 Another adult bird, to our amazement, actively and unsuccessfully pursued a Calandra Lark high in the sky. Seven White-tailed Eagles were in adult plumage, the age of one bird is not defined. Taking into account that in Ukraine adult White-tailed Eagles are mostly sedentary, the observed birds probably belonged to more northern populations. Of other eagles one immature individual of the Imperial Eagle was recorded. 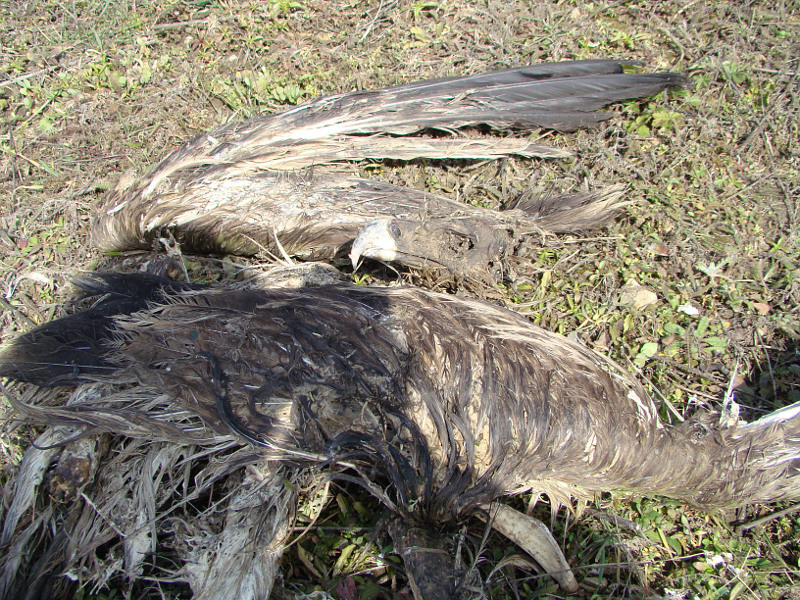 In addition, on Kerch Peninsula, under a concrete pole of power lines we discovered the remains of the young Imperial Eagle, apparently died already in autumn. Despite the fact that it was a period of the Saker Falcon migration, we observed only local birds. Also, we found two previously unknown occupied nests of this species. Pairs of the Common Kestrel already sat close to occupied by them nests of Corvidae birds. 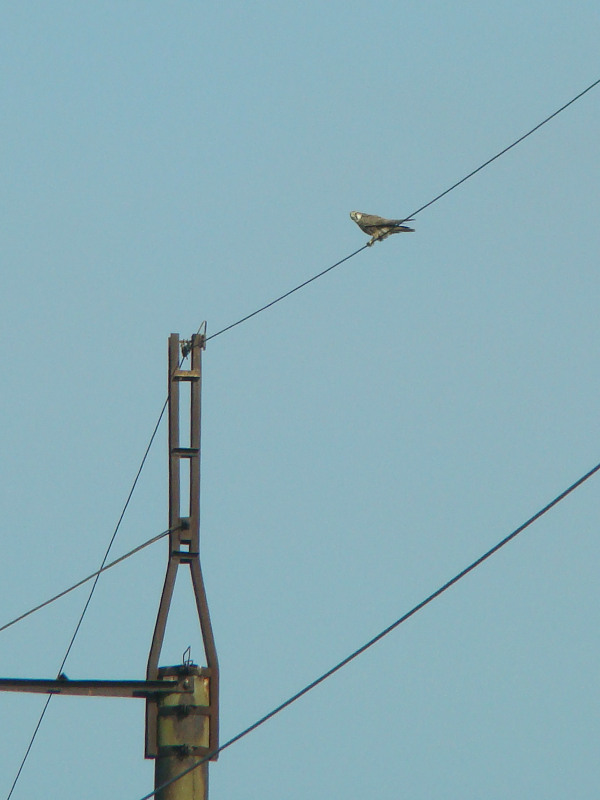 Kestrels, which nest in hollow poles of concrete power line, kept near to these constructions. Most of the encountered Long-legged Buzzards can be attributed to migrants, since any nests were found in the places where we had observed the birds. We discovered only one their nest. 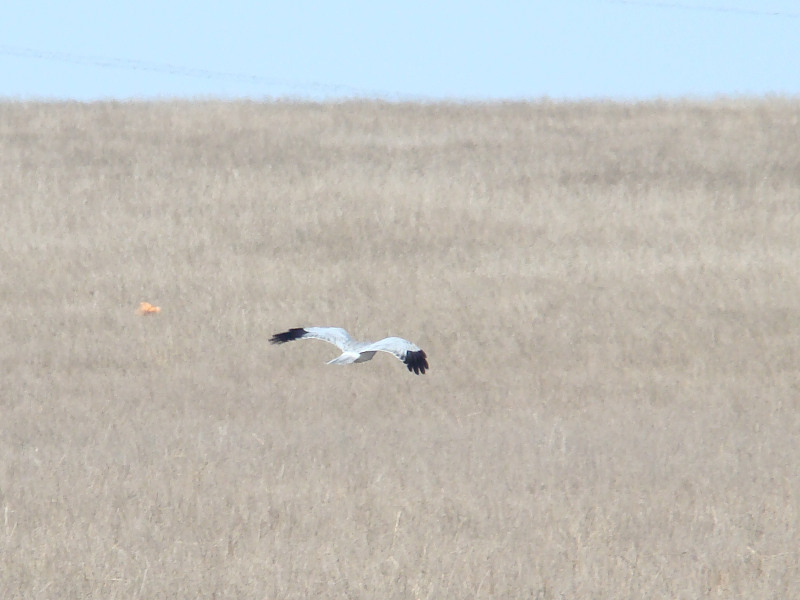 In the south of Kherson region next to the highway we managed to observe a successful hunt of the Long-legged Buzzard for a Orsini’s viper. At the place where the raptor had caught the snake, we found in snow 2 other vipers, which were stiff, but still actively defended. Marsh Harriers were met mainly over reeds of small reservoirs, less frequently over the steppe. 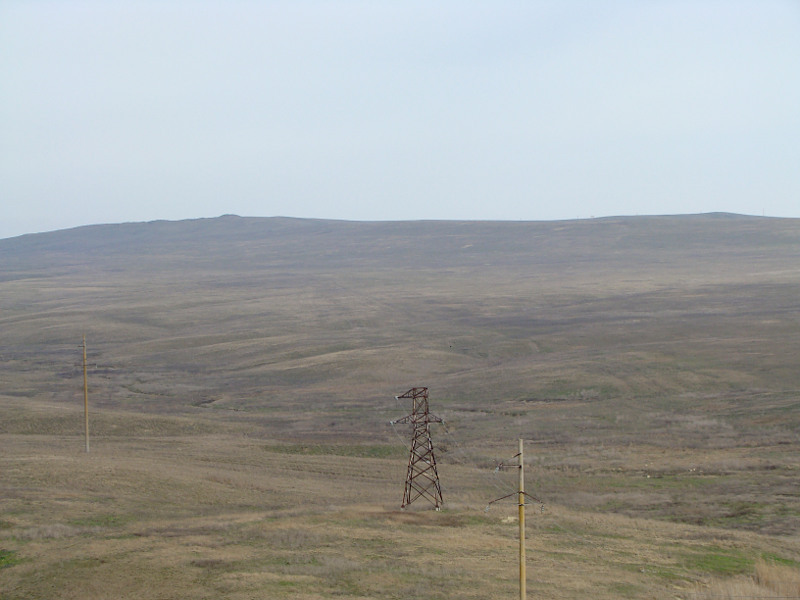 Hen Harriers were recorded everywhere, but the bulk of birds recorded in steppe areas. In two places on carrion (domestic cat) we noted 2 species of birds of prey: the Marsh Harrier and Long-legged Buzzard. 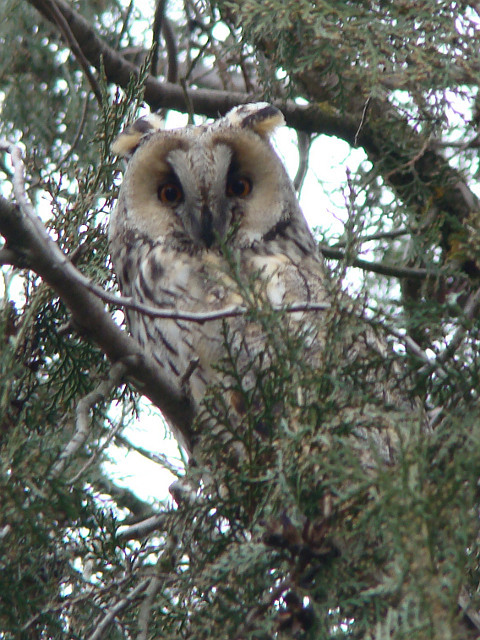 During the expedition, we visited two day’s roosts of wintering Long-eared Owls, which we had inspected in the third decade of January this year. At the first day’s roost birds were not found at all, at the second site, where it had been observed about 100 birds, we saw only fourty. In spite of the fact that forest belts in this time of year had no leaves and well-reviewed, none of owls was met even near the nest of Corvidae. 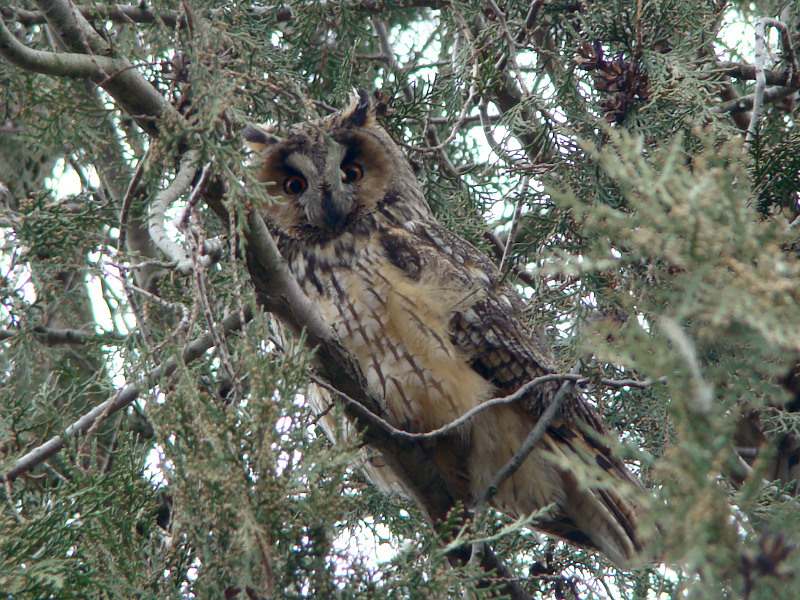 Displaying calls of a pair of the Long-eared Owls were heard at one of the nights in a pine forest. Among the birds listed in the new edition of the Red Book of Ukraine (2009) the following species were registered: Red-breasted Goose, Ruddy Shelduck, Hen Harrier, Long-legged Buzzard, Imperial Eagle, White-tailed eagle, Saker Falcon, Bustard – 100 birds and the Stock Dove – about 260 birds.